A most unwelcome guest surprises Diana at her engagement party-the husband she thought was dead! He agrees with one condition-she must give him a chance to change her mind about him. 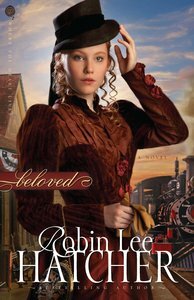 About "Beloved (#03 in Where The Heart Lives Series)"
Leaving behind her bitter past, Felicia Kristoffersen seeks to make a brighter future for herself as a teacher in Frenchman's Bluff, Idaho. But in this tiny high desert town, she can't afford to fail. And not everyone is happy she's here to begin with. Award-winning novelist Robin Lee Hatcher weaves a historical romance that asks the question: Can faith triumph over life's harshest storms?